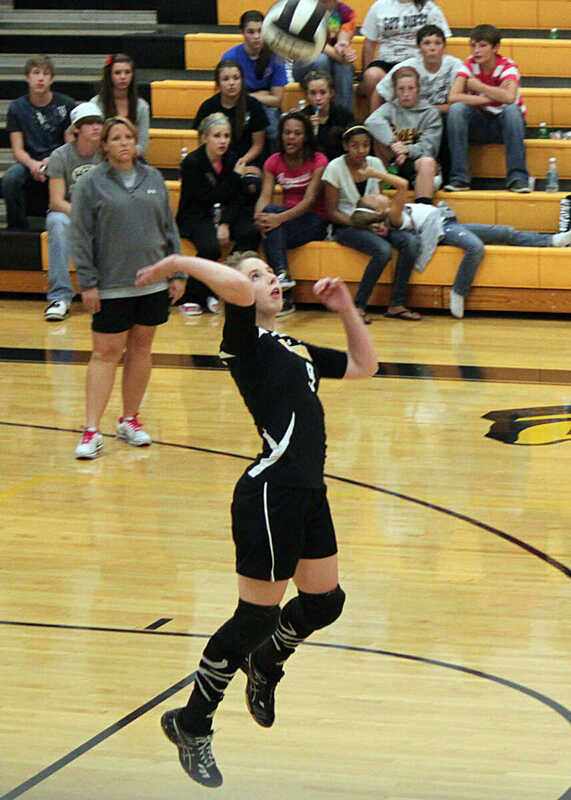 Kennett's Amy Johnson spikes the ball. 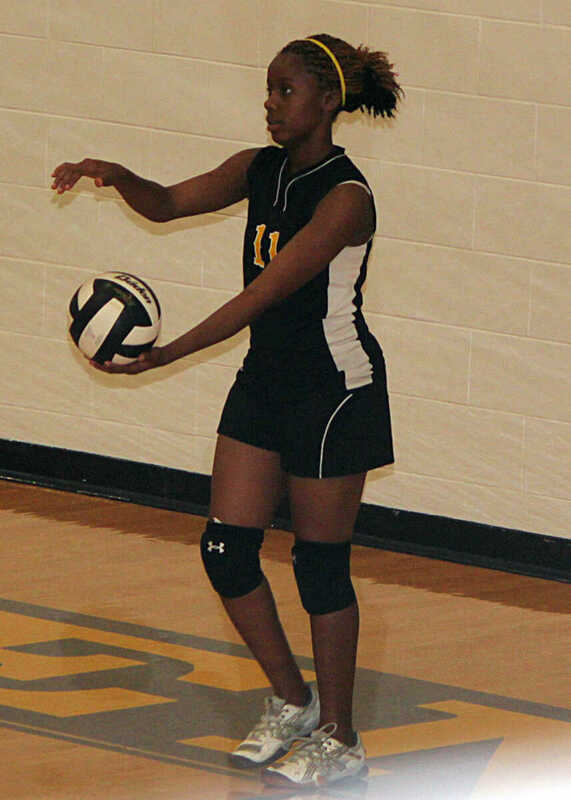 South Pemiscot's Alisha Campbell prepares to serve. 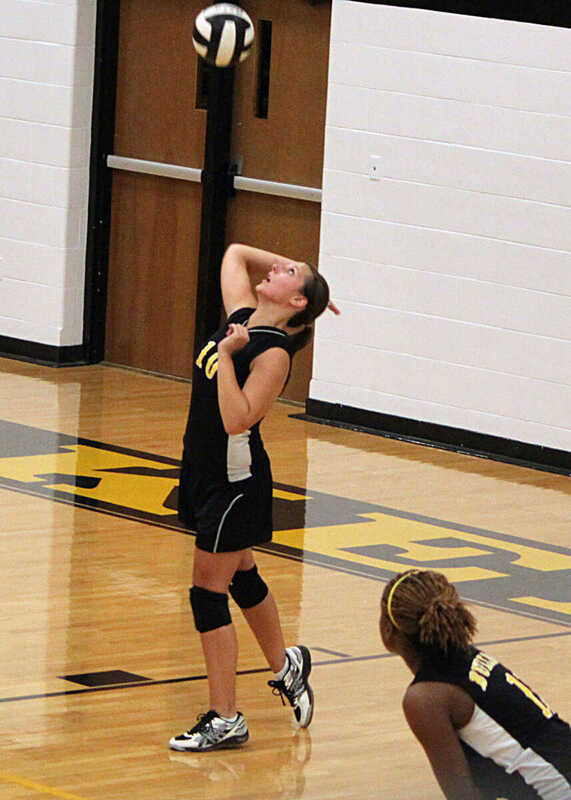 Kennett's Amy Johnson prepares to serve. 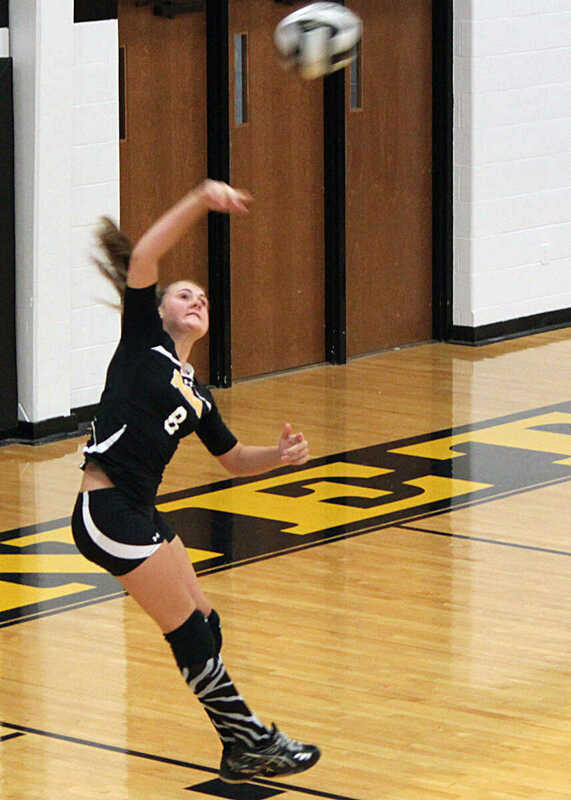 Kennett's Audrey Wynne makes a pass. 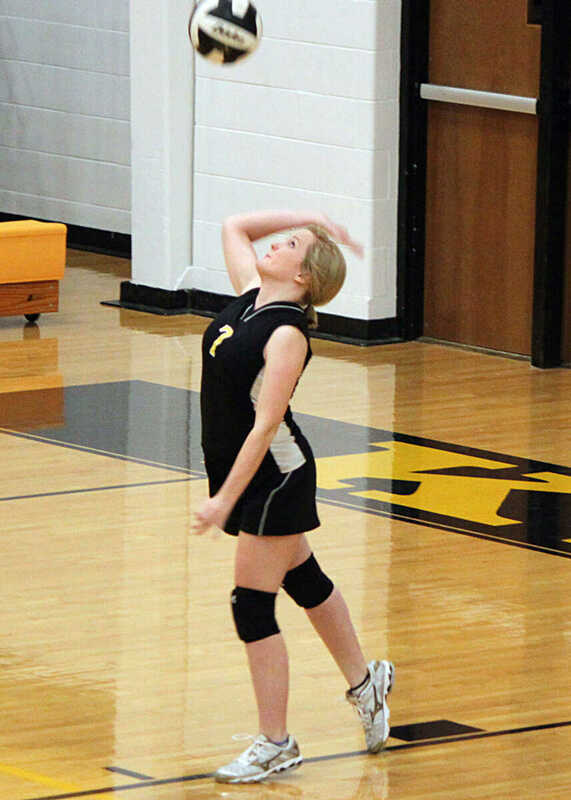 Kennett's Morgan Pickens completes a kill. 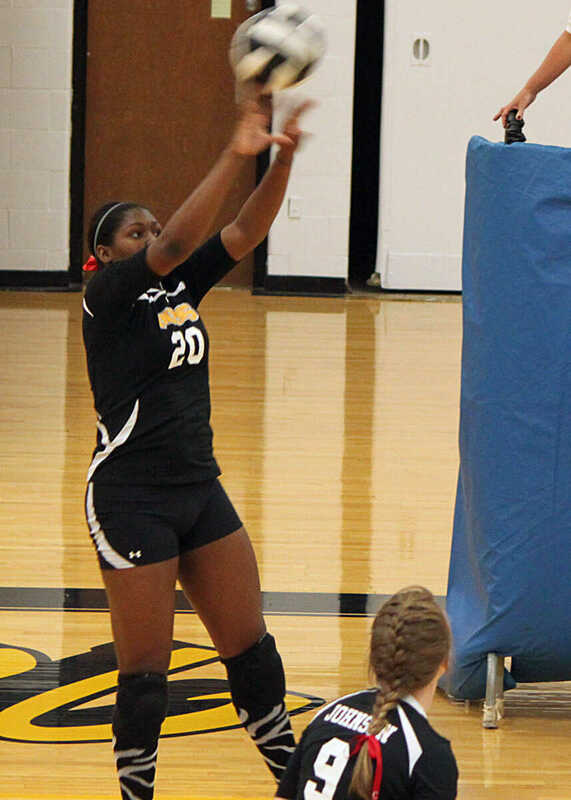 Pickens finished the game with a team-leading six kills. 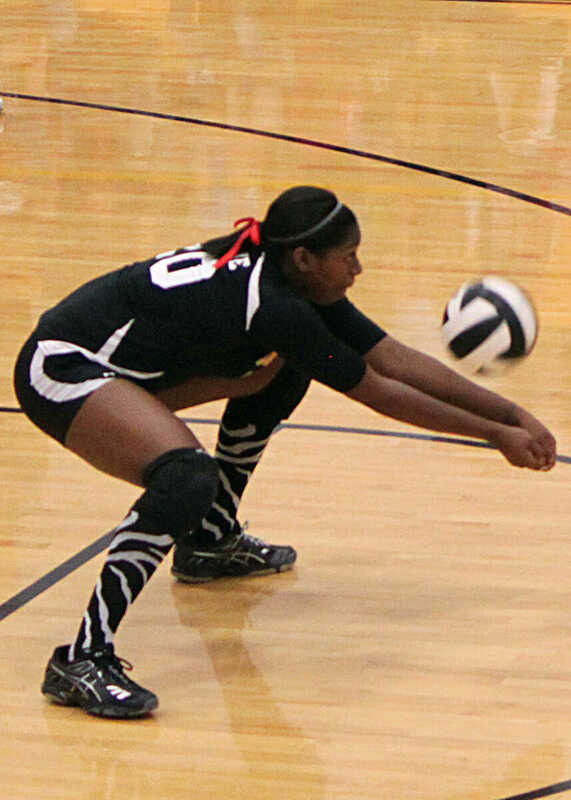 South Pemiscot's Ayana Houston sets the ball over the net. 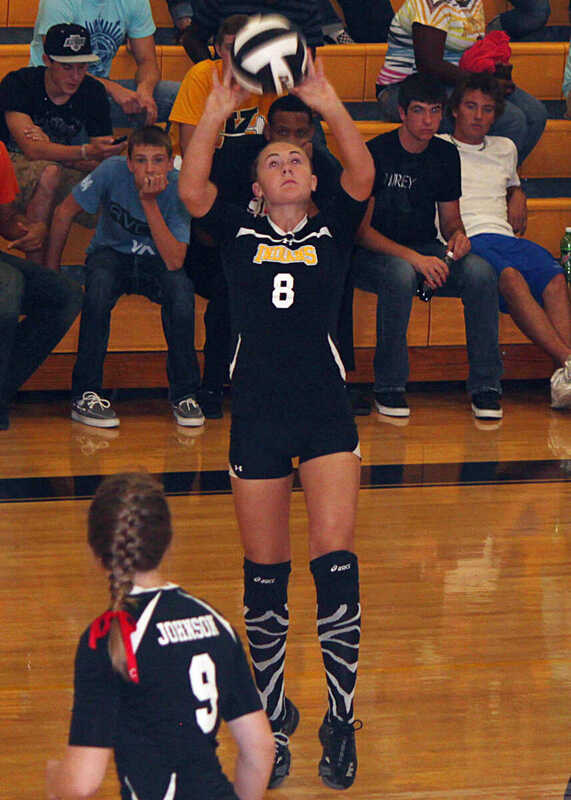 Kennett's Kenna Hounihan completes a set. 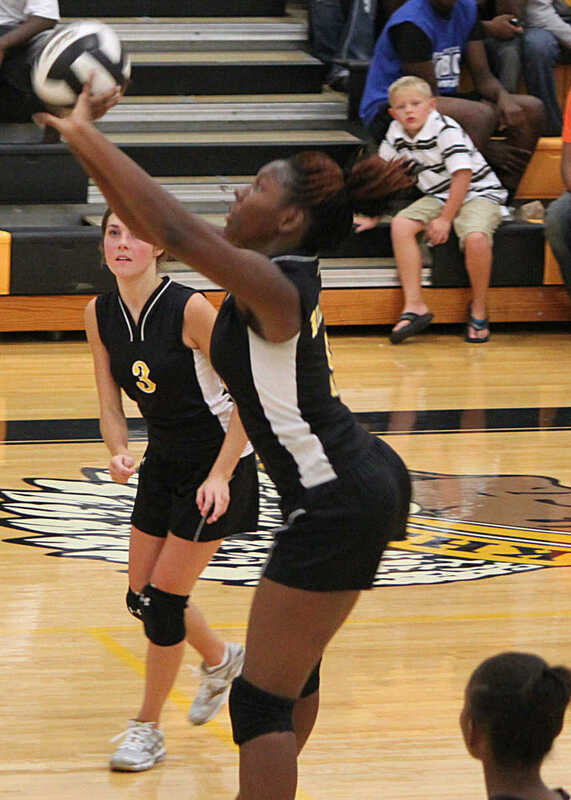 Kennett's Audrey Wynne sets the ball over the net. 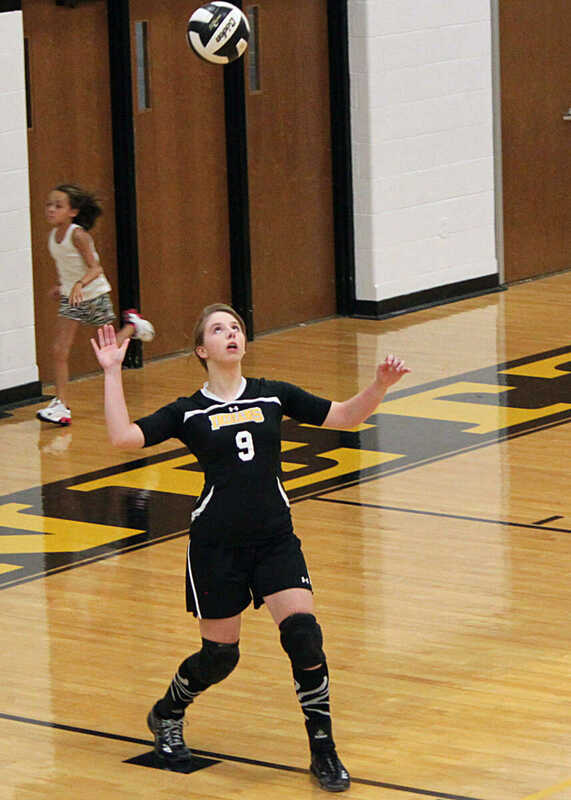 Kennett's Jade Caldwell (left) completes a set. 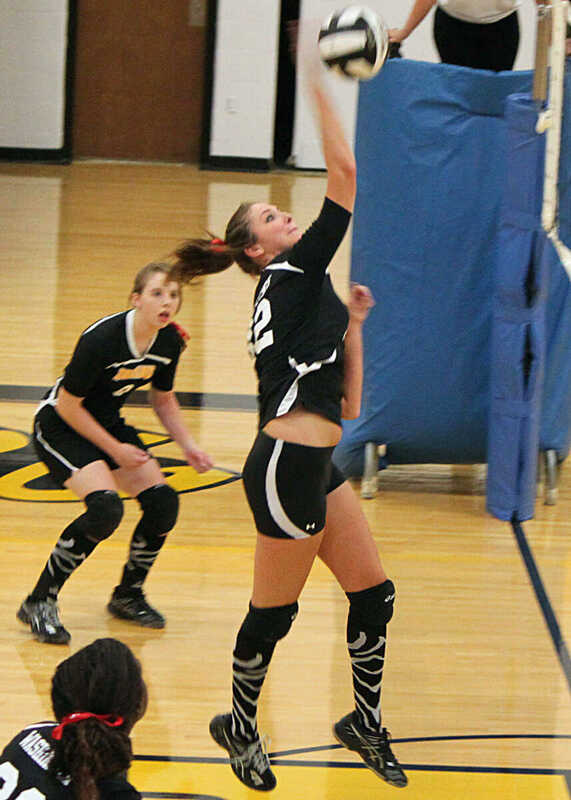 Kennett's Kenna Hounihan completes a jump serve. 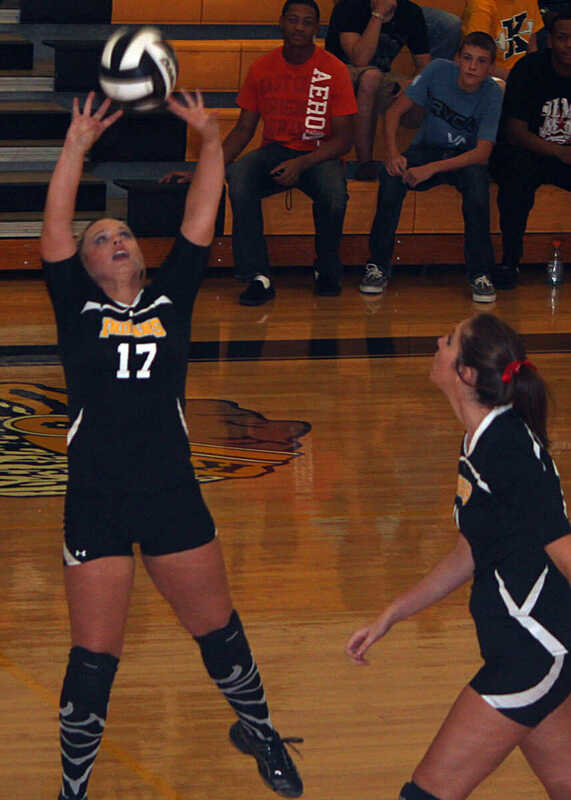 South Pemiscot's Jessica Butler completes a serve. South Pemiscot's Kristen Robinson eyes a serve.